Do the people around you a favor. 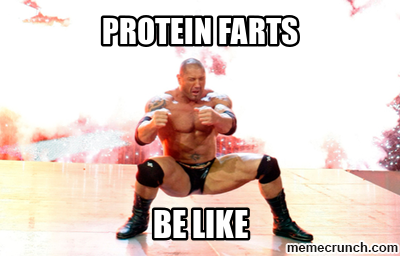 Protein is the building block of your muscles, it might also be the reason for your never-ending farts. Farts, gas, wind—call it what you like—is a natural phenomenon and it can embarrass you in front of the masses. Protein has a high thermogenic effect, your body needs to work harder to absorb protein as compared to other nutrients. This takes a toll on your digestion process and you might end up farting more than you would like. You can’t give up the protein, especially if you’re into the fit lifestyle. If you are on a mass building program, you need at least 1.5 grams of protein per pound of your body weight. For example, if you weigh 100lbs., you need 150 grams protein every day to build and sustain muscle. 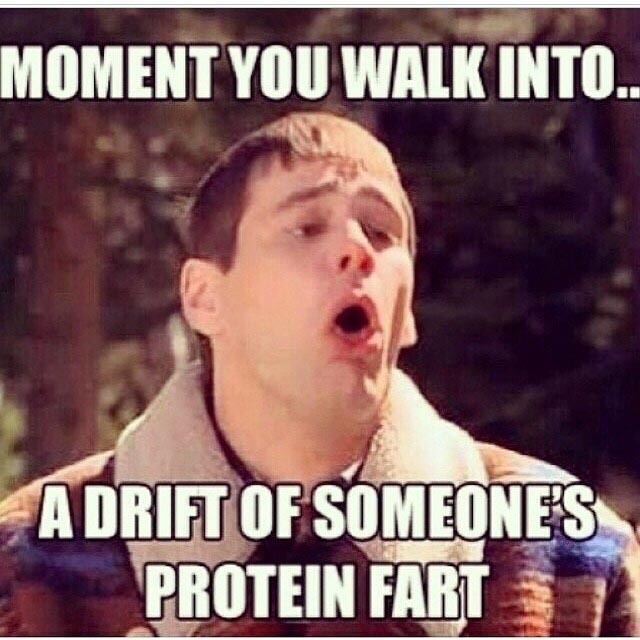 Not to mention, protein farts smell like a dead mouse. If you’re the only built-up person in the room, there is no way you’re getting away with a fart. The good news is, you don’t have to live with this side effect of consuming protein. There are ways you can cure it. Just like protein, dairy products have a high thermogenic effect. Your body has to work harder to digest and process dairy items. Dairy products like cheese are even harder to digest. It’s no coincidence farting is also called cutting the cheese. If farting is a problem for you, cut the cheese. With the kind of processed food we consume these days, it’s no surprise a lot of people are lactose intolerant. Lactose intolerant people can turn into farting machines if they consume anything containing dairy. Probiotics are live bacteria and yeasts which are good for your health, especially your digestive system. Our bodies are full of good and bad bacterias. Probiotics are good bacteria because they help keep your digestive system healthy. Yogurt is a good source of probiotics. 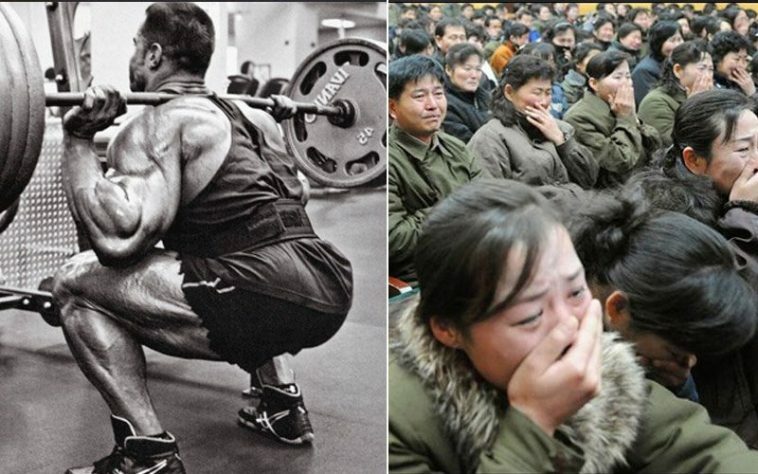 If you’re on a bodybuilder’s diet, you probably are eating way more than a normal person. In this case, supplementing with digestive enzymes can help keep you and your close ones happy. Your protein source makes a big difference to the state of your gut. 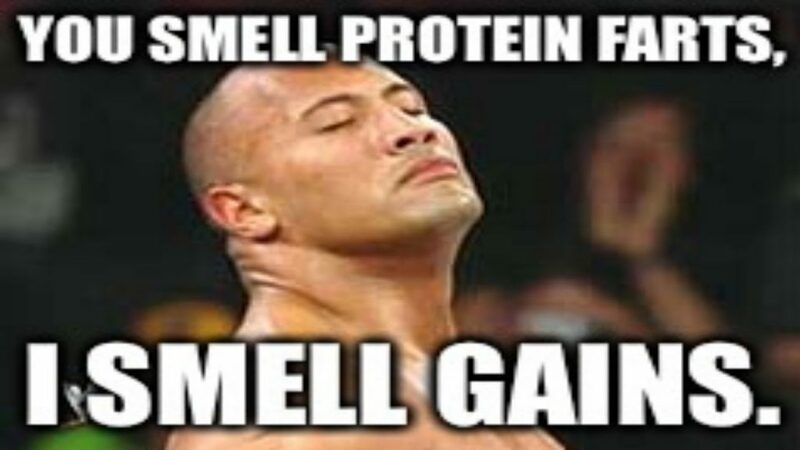 Taking protein from a low-quality source can cause gas problems as compared to the high-quality sources. 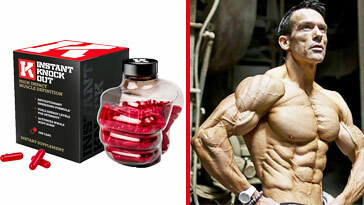 You should also pay close attention while choosing your protein supplements. If you have a weak digestive system, you are better off taking supplements which are easily absorbed by your body. For example, whey isolate protein powder is easier for your body to digest as compared to a whey concentrate powder because of its purity. Fiber is an important part of a healthy balanced diet. Apart from improving digestive health, consuming fiber can help prevent diabetes, heart diseases, weight gain and some cancers. This should be enough to get you to add fibers to your diet. 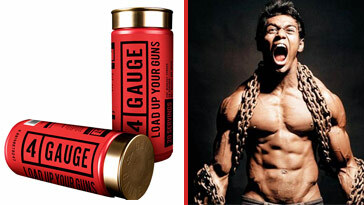 Since protein has a high thermogenic effect, it is harder for your body to absorb. You need additional nutrients like fiber to help in the digestive process. Unprocessed food in your stomach can lead to bad winds. It’s better to take baby steps to your goals. Trying to leap ahead can make you fall on your face. 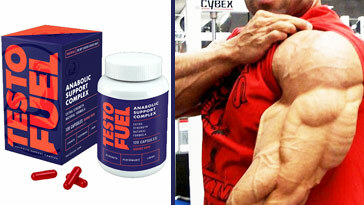 If you’re starting a muscle mass building diet, it’s always recommended you make incremental changes to your diet. Going to 150 grams of protein from 50 grams in a day can cause digestive malfunctions. Your body needs time to adjust to the changes. Consuming too much protein than your body can digest can lead to cutting the cheese. Sometimes home remedies are the best solutions to a problem. Herbs like ginger, garlic, cinnamon, peppermint, and cumin are easily found in a grocery shop and they might even be in your kitchen right now. Adding these spices to your food can put a stop to your gas problem. The next time you face this problem, experiment with these spices until you find what works for you. These food tips will help you spice up your boring food.